Home » Updates » Category "SOI"
What Does RJ Mean To You? The SPARK Organizing Intensive (SOI) engages an intergenerational cohort of reproductive justice and sexual health advocates through collaborative intensive political skill development for comprehensive and sound reproductive justice policies in the Southeast. As a lead up to Legislate This!, the SOI is geared towards supporting and empowering people of color, while centering the experiences of Black Women and queer & trans youth of color. The training is an opportunity for both new and experienced organizers and activists to dig deep on pressing issues that affect our communities across identities, gain concrete organizing and campaign building skills, and directly organize and support community events and projects throughout 2017. SPARK thanks you all for your attendance and encourages you all to make your voices heard as advocates and allies in the fight for reproductive justice. Tweet us or tag us on Instagram and Facebook and tell us what RJ means to you! The Weekend Countdown Starts… NOW! 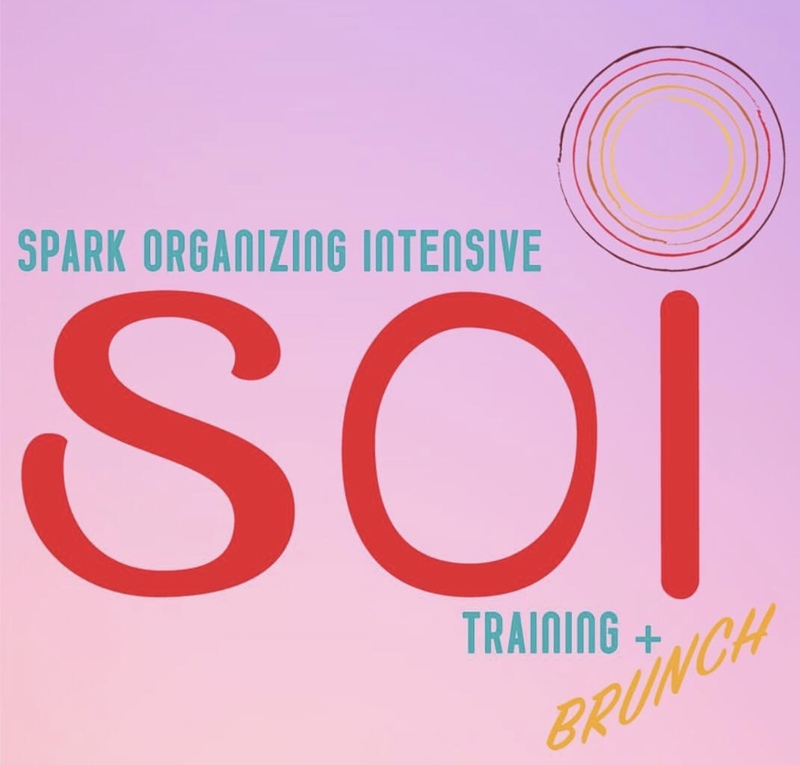 There’s only 5 days left to register for the SOI Advocacy Training & Brunch taking place this Sunday, FEB 19, from 1-4PM at the Troy Moore Library. As a lead up to the Legislate THIS! advocacy day, the SOI is geared towards supporting and empowering people of color, while centering the experiences of Black Women and queer & trans youth of color. The training will provide an opportunity for both new and experienced organizers and activists to dig deep on pressing issues that affect our communities across identities, gain concrete organizing and campaign building skills, and directly organize and support community events and projects throughout 2017. As we prepare for a drastic shift in our political environment, it is increasingly important to focus on building our power and our voices as a community. Register for the SOI Advocacy Training NOW! Don’t Agonize. Brunch & Organize! Whether you are looking for a role in your community or have been an active organizer for years, the SPARK ORGANIZING INTENSIVE ADVOCACY TRAINING (SOI) is a wonderful opportunity to engage an intergenerational cohort of reproductive justice advocates and dig deep on pressing issues that affect our communities across identities. You will also be able to gain concrete campaign building skills that will help you directly organize and support community events and projects throughout 2017. SOI serves as a lead-up training to LegislateThis! our annual advocacy day at the state capitol and is geared towards supporting and empowering people of color, centering the experiences of queer & trans youth of color and black women. As we enter an increasingly disruptive political age, it is urgently important to focus on building our power as a community and uplifting the voices of those most marginalized in society. TROY MOORE LIBRARY AT GEORGIA STATE UNIVERSITY. Register for the 2017 SOI. Doors open/brunch served at 12:45PM. Join the SPARK Organizing Intensive! The SPARK Organizing Intensive (SOI) will be a fierce group of young folks (18-25) interested in being trained on or deepening their skills and understanding around organizing and movement building in Georgia and the South. The SOI is geared towards supporting and empowering women of color (while centering the experiences of Black Women), young parents, and LGBTQ youth of color on issues that impact their lives and will provide an opportunity for new and experienced organizers and activists to dig deep on pressing issues that affect our communities across identities, gain concrete organizing skills, and directly organize and support community events and projects throughout 2015. The 6-week program will begin in late March 2015. SOI trainings will occur once a week on Saturdays from March 28th to May 2nd from 10:00 AM to 12:00 PM and will include political education and skill development. What’s expected of me as an SOI Participant? Bring an open, willing spirit and positive attitude that lends to community building and friendship. Be curious, stretch, and have fun! Be willing to fight for the dignity and safety for all families! You can apply online here. The deadline to apply is Friday, March 13th, 2015. Applicants will be notified of their acceptance no later than March 20, 2015. For more information, please contact Quita Tinsley at quita@sparkrj.org. Join us in creating a Georgia that respects our bodies and our futures! Women of color, LGBTQ, trans* and gender non-conforming people color, young parents, low-income people, people with disabilities, people living in the South and in rural communities, and those living outside of the metro Atlanta area are strongly encouraged to apply.